MIPCOM: Endemol Shine Group is partnering with Chinese broadcaster Hunan TV to co-create original formats, the companies have announced on the eve of Mipcom. The partnership between Hunan and Endemol Shine China (ESC) will see the co-development of new unscripted television formats for the local Chinese linear broadcast market and with international distribution potential. The companies have already started exploring a number of format co-development ideas in a series of local development sessions. Ten new format ideas have already been presented by ESC to Hunan TV which they are now developing together with the aim of finding China’s next primetime weekend hit show for release in early 2019. 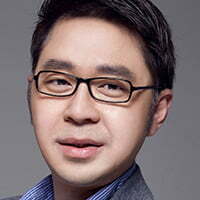 ESC, led by CEO William Tan, and Hunan have previously partnered on local adaptations of formats including Your Face Sounds Familiar and Anything Goes but have decided to partner more formally following the Chinese government’s recent call for more local innovation and content export. This year ESC has announced a number of content and brand licensing deals with local partners including streaming giant Youku. The company is behind the first Asian adaptation of global hit drama Humans in China as well as an agreement to co-develop and distribute reality show Puzzle Masters. Hunan has become known as home to some of the biggest international format hits in China, including Strictly Come Dancing, 1 VS 100, Take Me Out and I’m A Singer. But the broadcaster has been shifting its focus in recent years to original content creation. Following the launch of Biu Project, a monthly internal pitch competition among some 20 in-house production teams and studios, the channel introduced China’s first ever pilot production system on television to test out fresh ideas both home and abroad. Successful cases include The Sound, a celebrity voice-acting reality competition show that was showcased at the past MipTV, and Ultimate Vocal Academy, a musical crossover singing talent show that is about to premiere in Q4.